EXCERPT FROM MY BOOK “WITH ALL YOUR MIGHT”. Picture a frum (observant) family at the Seder night, living in any one of the great Torah centers in the galut; they could even be your next-door neighbors! The home of Reb Sender and Mrs. Rayza is impeccable; the result of the great time and energy, not to speak of the money, which the expeditious and skillful ba’alat ha’bayit (woman of the house) has devoted to it. The sofas and arm chairs in the sitting room look so inviting if it were not for the thick plastic covers which insure that the upholstery retains its “new” look. The five-meter-long dining room table is covered with the finest Irish linen table cloth. In the middle of the table stands the imposing sterling silver candle sticks handed down from mother to daughter for generations. The china is the finest Rosenthal, with each plate delicately rounded off with a band of gold. The silverware has been put away in favor of goldware in honor of the great night. On the table, under a hand embroidered silk cloth, lay the matzot. 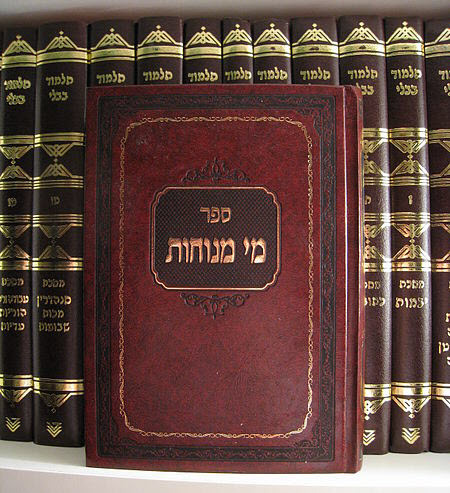 On the insistence of the two sons learning in the recently opened Yeshiva Taharas Ha’Torah in Las Vegas (in order to bring the voice of Torah even to the entrance of Gehennom [hell]), the matzot are from the first 18-minute batch, guaranteeing that no naughty piece of dough would be hiding in any of the rollers. The hand matzot were personally chosen by the rebbe of the shteibel (homey synagogue) where the family davens since leaving the central shul which was costing too much. The rebbe assured the boys that the matzot were bubble-free, with no overturned edges. The wall-to-wall carpet is as deep as the grass in the beautiful garden. Above the table hangs the family’s pride and joy — a multi-faceted crystal chandelier, personally chosen by Rayza on the family’s last visit to Prague. Reb Sender is wearing his new bekeshe (silk robe), the one with the swirls of blue, with a gold-buckled gartel (belt). Rayza has just said the shehechiyanu blessing (gratitude for seeing this day) over the $3000 dress imported from Paris. The boys are handsome in their wide-brimmed black hats and the two girls will make beautiful brides when the time comes, dressed in their very expensive dresses. The seder goes better than expected. There are words of Torah, beginning with an invitation to the hungry to join with them in the meal, despite the fact that there is not a needy person within 50 miles. A lively discussion develops on the characters of the “four sons.” The afikomen (ritual dessert matza) is “stolen” by the youngest daughter who, for its return, has succeeded in extorting from abba (father) a vacation in Hawaii. Songs of thanks to HaShem for freeing the Jewish people from slavery in Egypt are recited. For it is a mitzva on this night for each person to consider himself as if he or she were slaves in Mitzrayim. Birkat Hamazon (grace after meal) is said, as is the second part of Hallel. Chad Gadya puts the final touch on the mitzvot of the night. Now, just as HaShem destroys the “Angel of Death” in the song, father jumps up — and gathering the family in a circle, they all break out in a frenzy of song — L’shana ha’ba’a Be’Yerushalayim — “next year in Jerusalem.” Again, and again around the table L’shana ha’ba’a Be’Yerushalayim is sounded. Louder and louder until their song merges with the same melody resounding from the neighbors’ homes, cutting a path into the highest realms of heaven. Suddenly Mama collapses into a chair, crying hysterically. The singing stops. Father runs over and asks why she is crying just at the apex of the beautiful sacred night? Ten thousand kilometers to the east, in Eretz Yisrael, lives Reb Sender’s brother Kalman. 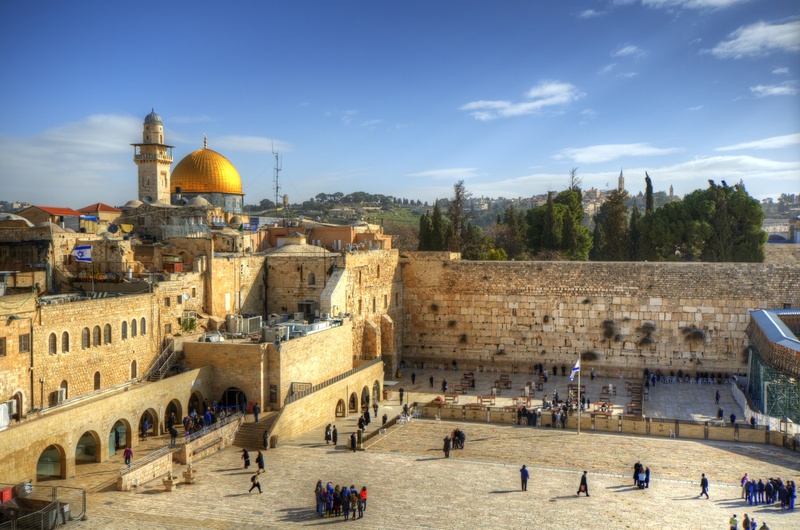 Kalman had moved to Eretz Yisrael many years ago and was blessed with a beautiful family and an adequate apartment. His son, Yossi, will not be home for the Seder night, since he is doing his army service within the Hesder yeshiva system. At 12 noon, on the 14th of Nisan, Erev Pesach (day before Pesach), Yossi and three other soldiers from the same yeshiva were called to the company commander’s room, where he informed them that they had been chosen to fill an assignment that evening, on the Seder night. They were to cross the border into Hizballah territory in Southern Lebanon and man the outpost bunker on hill 432. Yossi knew the hill well; he had been there several times in the past year. It was sarcastically called a “bunker,” but in reality, it was nothing more than a foxhole large enough for four soldiers. Their assignment was to track terrorist movements and destroy them on contact. It was tolerable except when it rained, which caused the bottom of the hole to be soggy and muddy. But today, the four hoped that it would rain, even though chances were small since it was late in the season. On the 14th of every Hebrew month when the moon is full, crossing into enemy territory presents a greater danger; so, rain would be a mixed blessing. At 5:00 PM, they were given the necessary arms and ammunition. In addition, the army rabbinate provided them with 4 plastic containers – each holding 3 matzot and all the ingredients necessary for a Seder – as well as 4 plastic bottles of wine, sufficient for 4 cups, and of course four Haggadot (ritual text). At 6:15 PM, the small aperture in the gate opened and they passed through. As they had hoped, it was raining, and the thick fog was to their advantage. At that moment, 10,000 kilometers to the west, it was 12:15 PM and Yossi’s two cousins in New York were just entering the mikva (ritual bath) to prepare for the Pesach holiday. The 4 soldiers reached hill 432 after walking double-time for 5 kilometers. They removed the camouflage and settled in, pulling the grassy cover over them. Each soldier was assigned a direction. Talking was forbidden. If any murderers were sighted, a light tap on the shoulder would bring them all to the proper direction. After settling in, they prayed ma’ariv and began the Seder. It was finished within a half hour, and they were happy that the 4 cups of “wine” had no detrimental effect on their senses. At 6:00 PM in NY, the family returned from shul to begin their Seder. At 11:00 P.M. the family was dancing around the table singing the song of hope that they will be in Yerushalayim in the following year. It was then 5:00 A.M. in Eretz Yisrael, and the 4 soldiers were waging a heroic battle against boredom and sleep. The minutes crawled by, and at the first approach of light, they exited their outpost and returned through the minefield and electric fence to the base. After reporting to the officer in charge, the four entered their tent and collapsed on their cots without removing clothing or shoes, because in an hour they would have to join the minyan for the shacharit service. That night, Yossi’s angel and the angels of his friends were draped in flowing, golden robes while sharing the heavenly Seder with the righteous of all the generations. Yossi’s cousins? Their angels were having their Seder in an area separated from Yossi’s angels by a mechitza (barrier) with the words “chutz la’shamayim” (out of heaven) engraved on it.